The second show of our 2018 Thursday Night Summer Concert Series Big Wood After Marketfest will bring Poppa Bear Norton back to our stage. 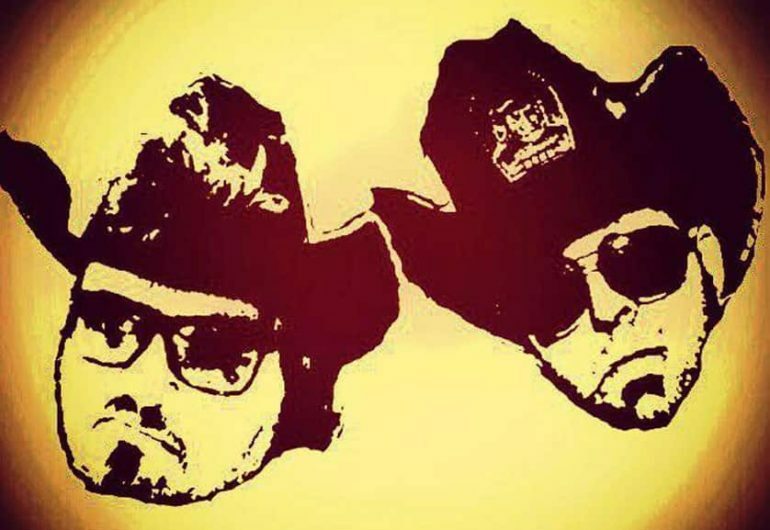 This Minnesota-based, two-man, runaway freight train, hillbilly band takes all the humor, sorrow, self-deprecation, and violence that once made country music great, then Poppa Bear & B carefully (but, not too carefully) add some trucker speed, black coffee, and rocket fuel to the mix. Shake it up, light a match, and you wind up with a highly explosive original “Daredevil Country” sound — a style of country that can only be preformed by true “Country Daredevils” and that’s just what “The Singer” and “The Slinger” are. That’s right folks, Poppa Bear Norton is America’s #1 Daredevil Country duo, performing without a safety net while flipping the bird in the face of the homogenized bro-country establishment.